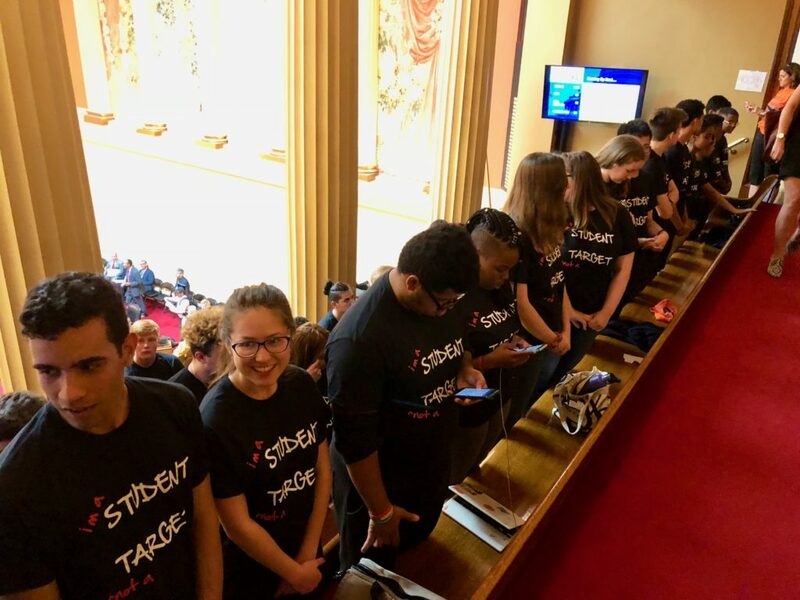 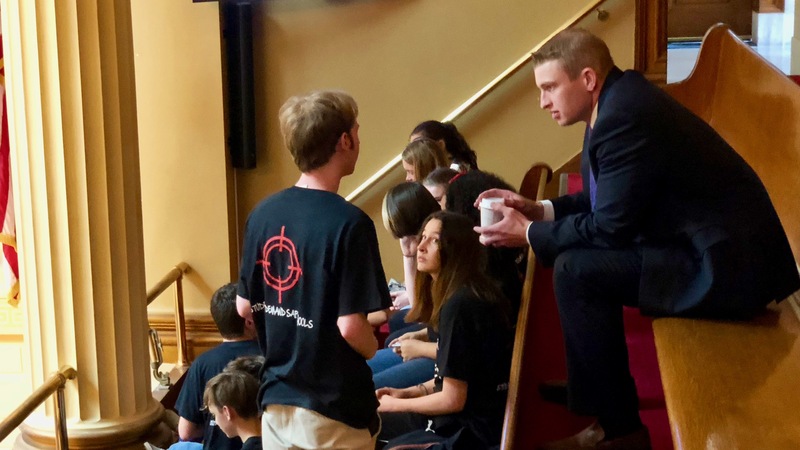 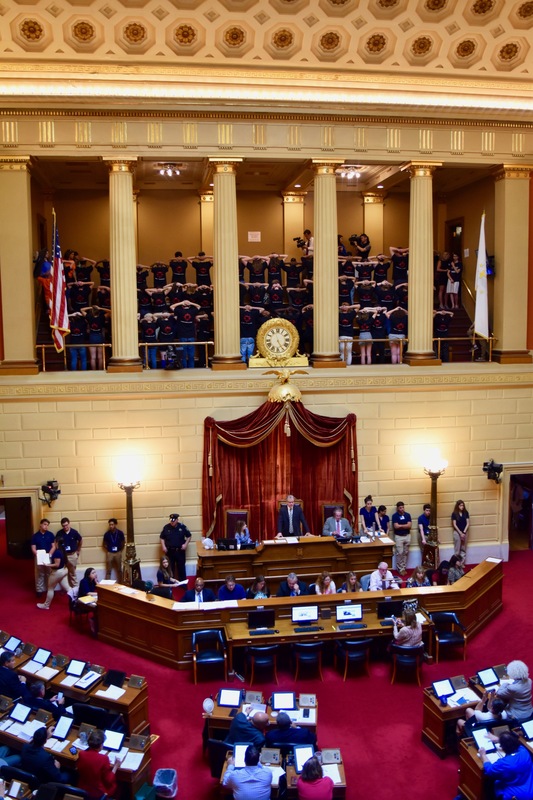 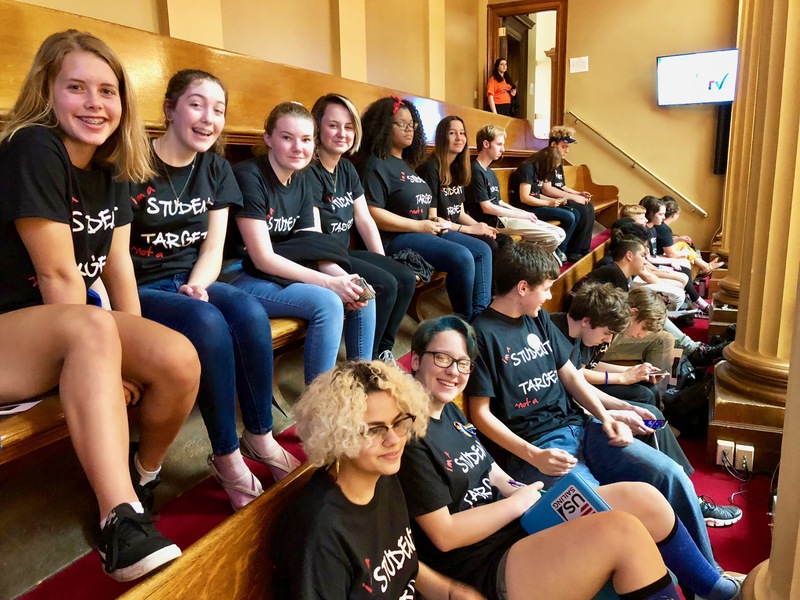 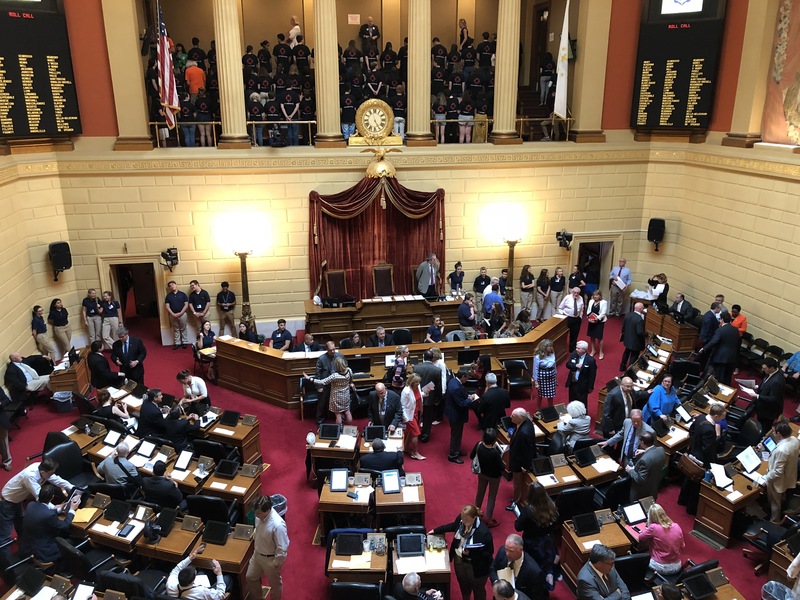 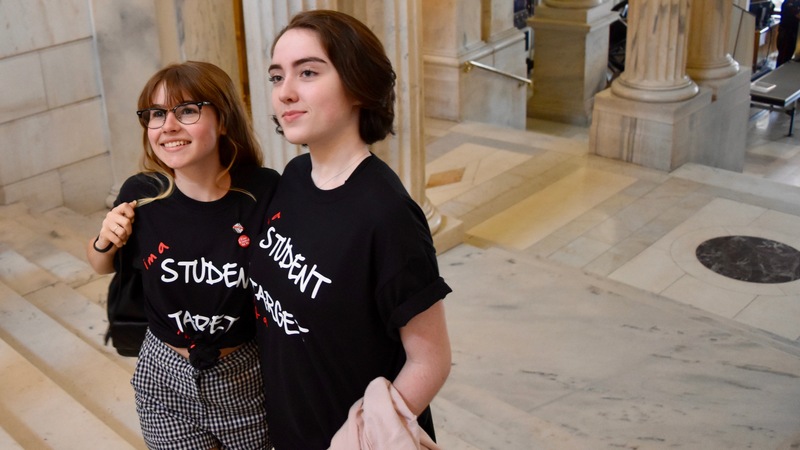 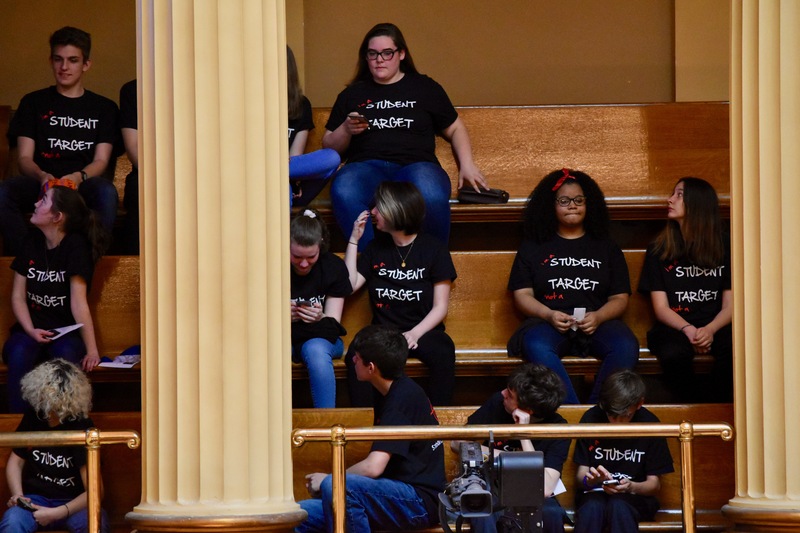 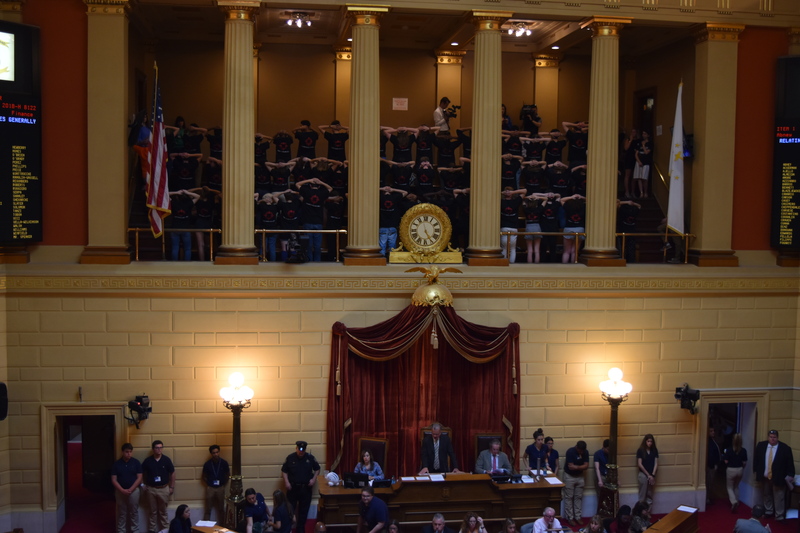 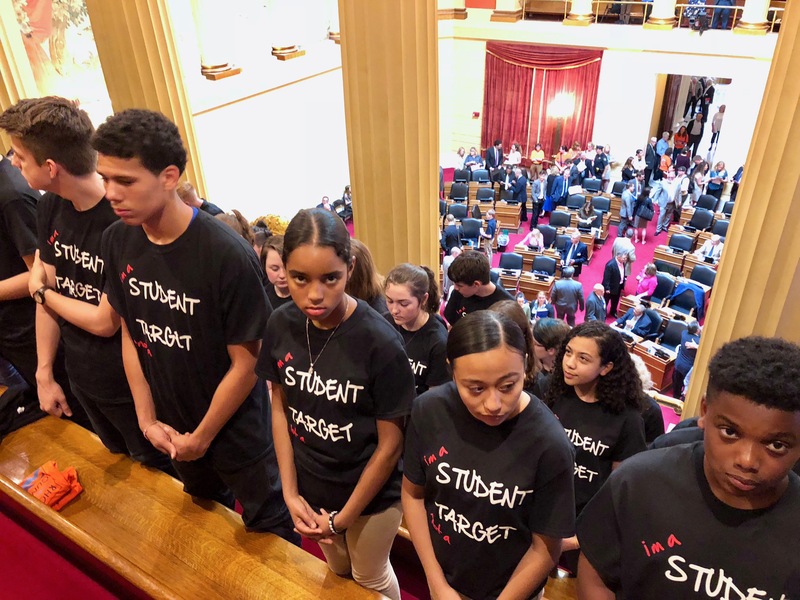 Rhode Island students “from Cranston, North Providence, Smithfield, Greenville, Coventry, Lincoln, Providence, Rumford, Warwick, Barrington and more” protested the slow response of the General Assembly to take action in the wake of recent school shootings. 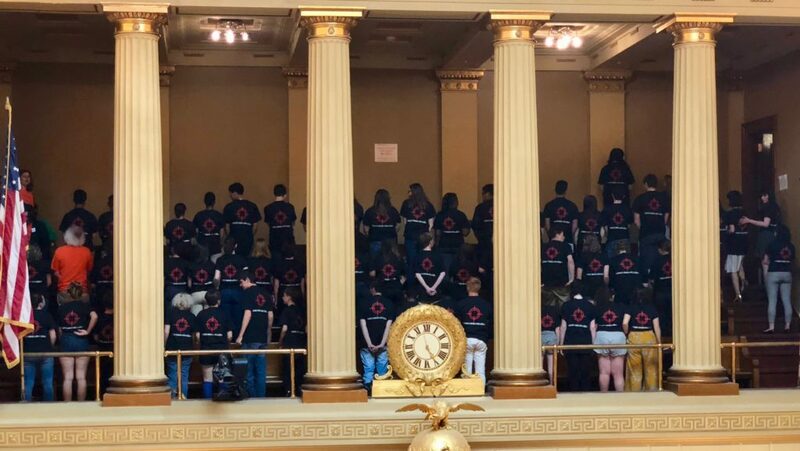 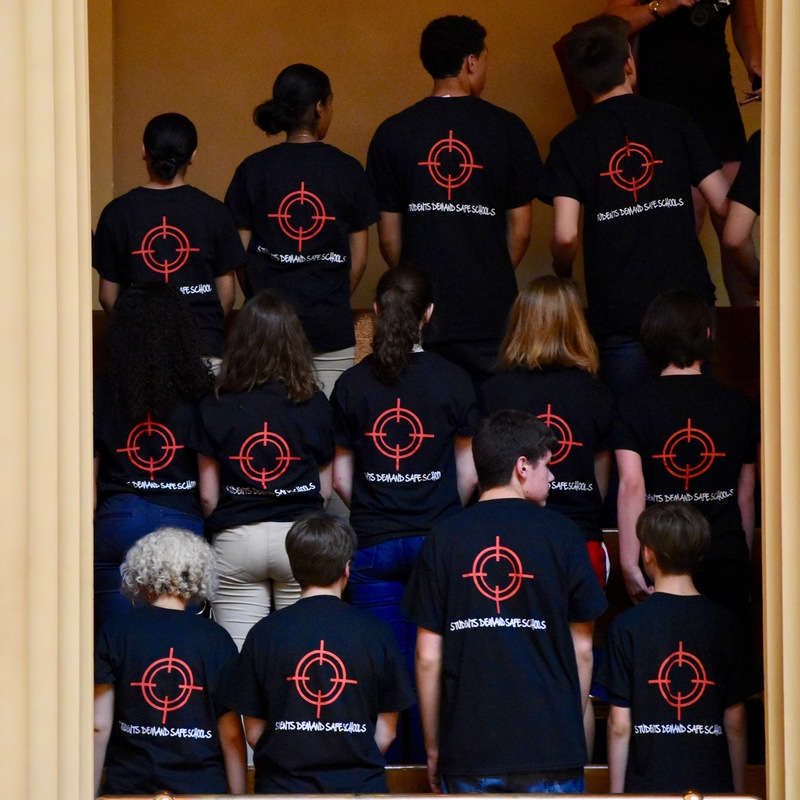 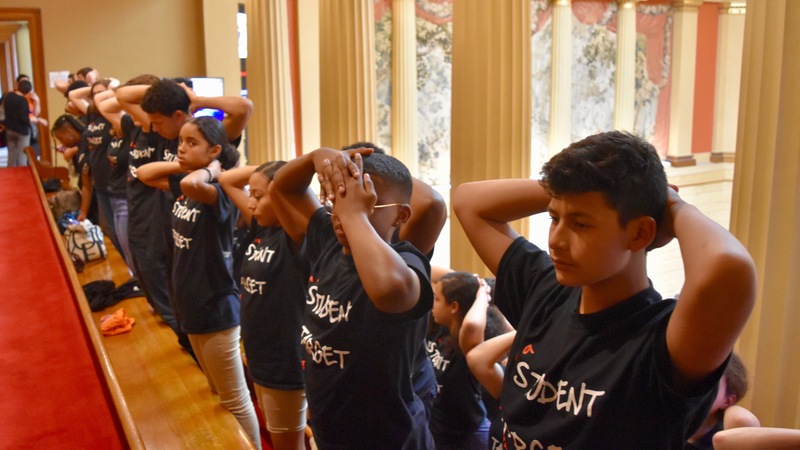 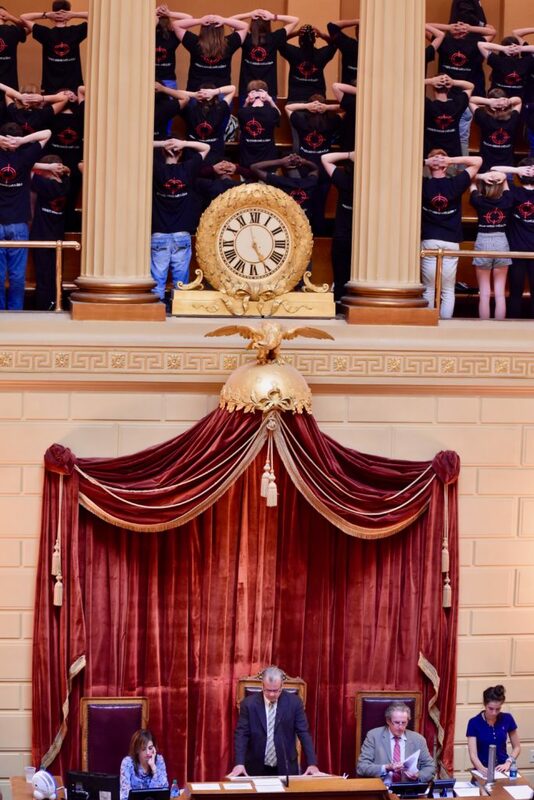 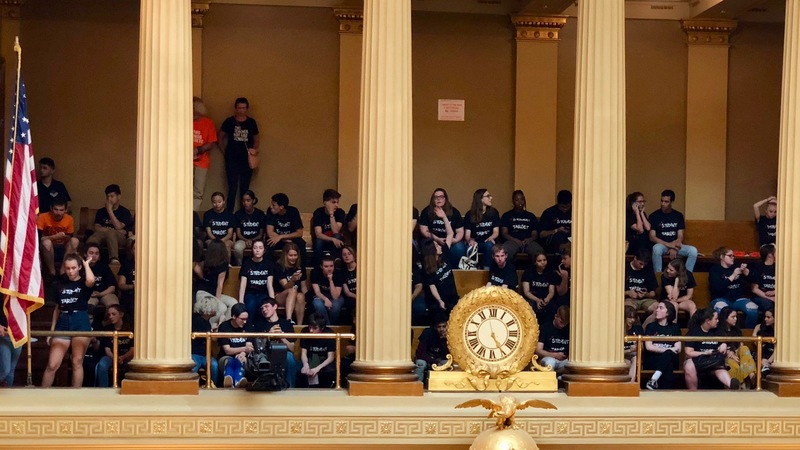 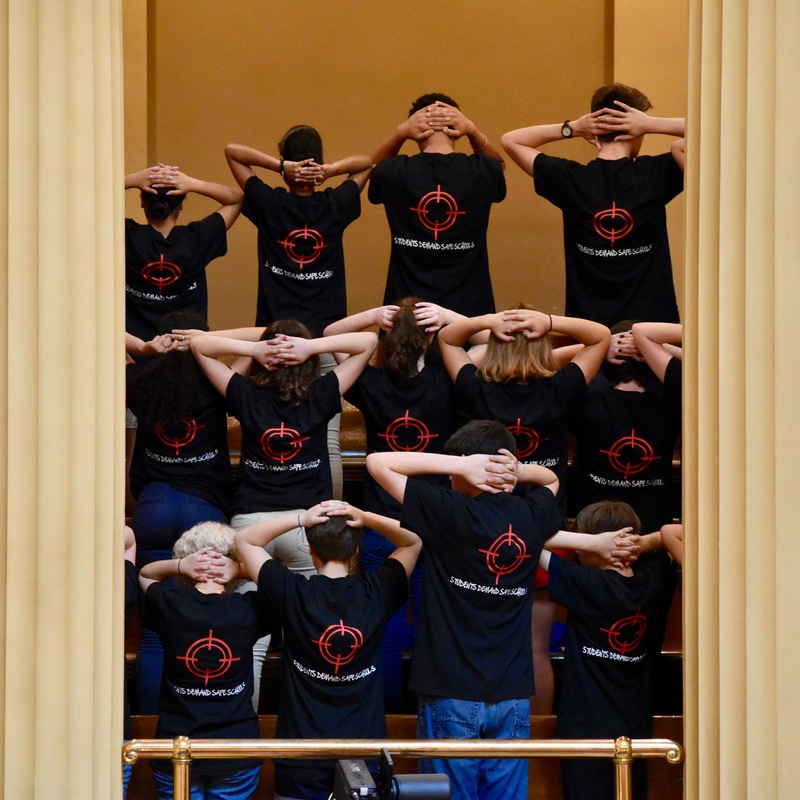 At the end of the Pledge of Allegiance, students, wearing black t-shirts with red shooting targets on their backs, turned their backs to the House Floor and put their hands on their heads, a universal sign showing the vulnerability of students in our schools. The action is a protest against the lack of action on the part of legislators to pass the Safe Schools Act (H7591/S2289), a bill that would eliminate a Rhode Island loophole that allows anyone (including teachers, janitors, bus drivers, school volunteers, parents, etc) with a concealed carry permit to bring a gun into Kindergarten-12th grade schools and sports events without notifying administration that they are armed with a lethal weapon. 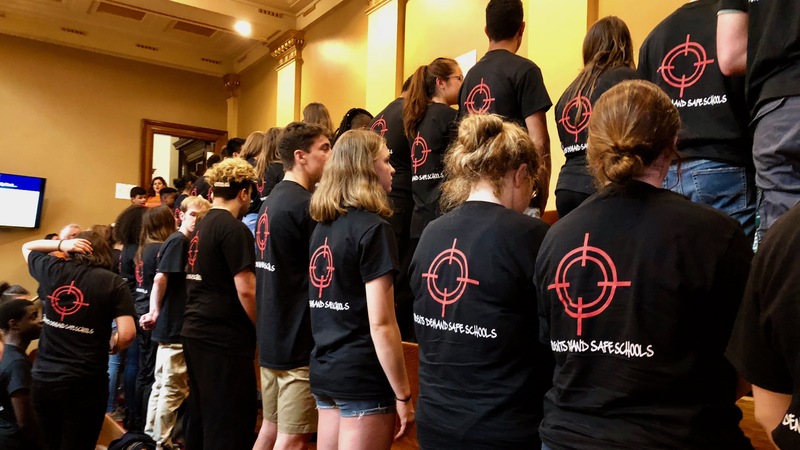 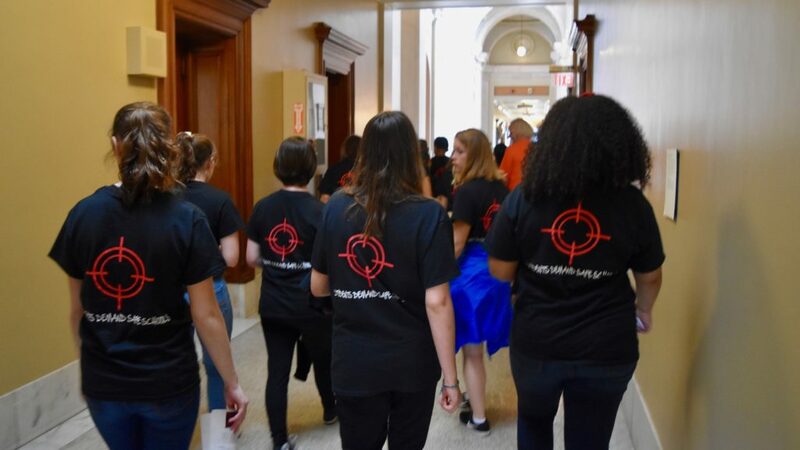 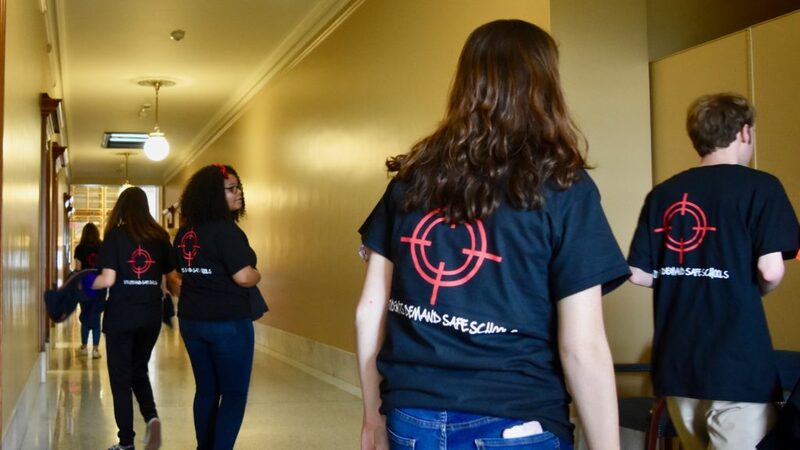 The Rhode Island Coalition Against Gun Violence hopes that this incredible outpouring of student support will be enough to persuade legislators across the state that enough is enough, and common sense gun safety bills must be passed this session. 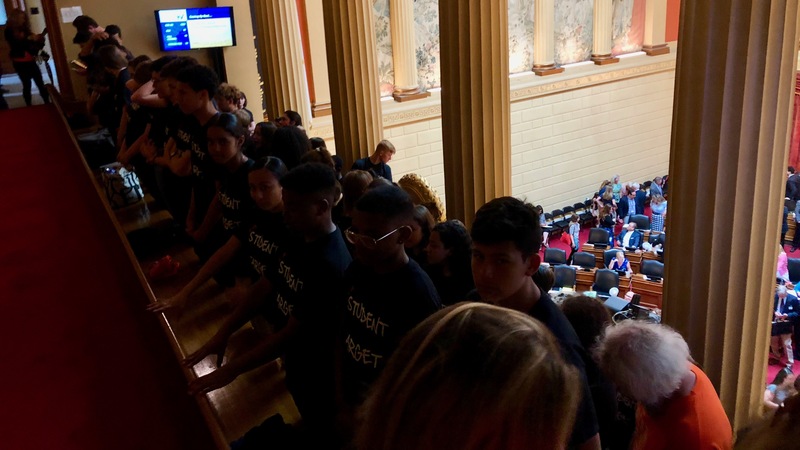 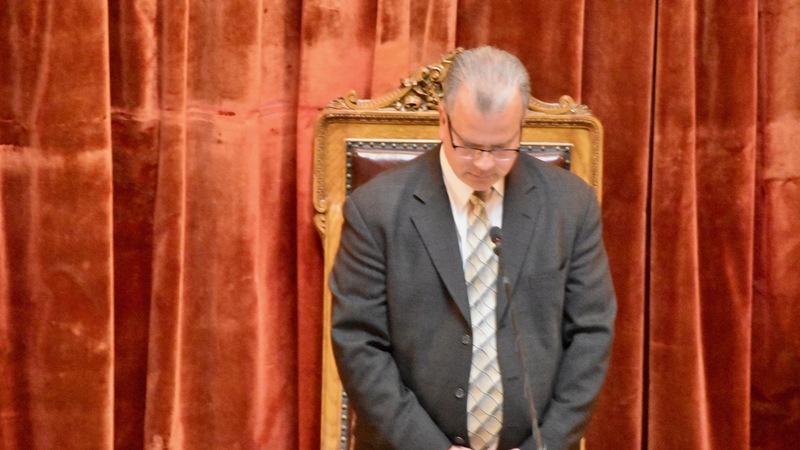 Speaker Nicholas Mattiello (Democrat, District 15, Cranston) who started the House session, and Deputy Speaker Charlene Lima (Democrat, District 14, Cranston), who ended the session, never acknowledged the students.